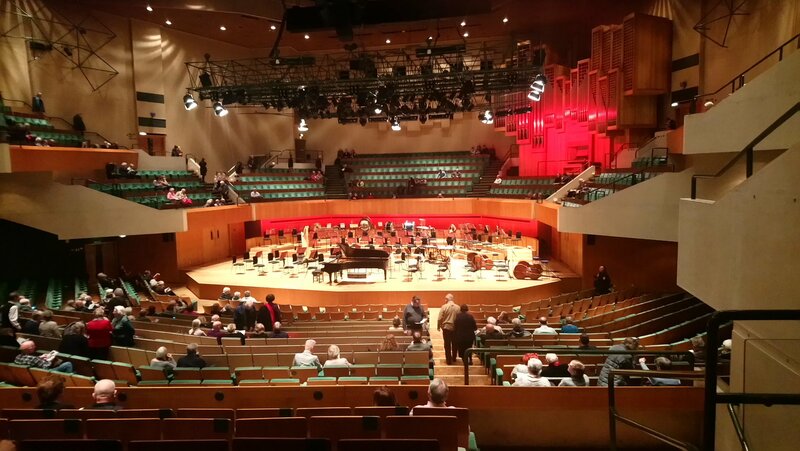 Last night I took my seat in St David’s Hall for a concert by the BBC National Orchestra of Wales under the direction of Principal Conductor Thomas Søndergård. It was an all-Russian menu, and very enjoyable it was. The first course was the Violin Concerto by Pyotr Ilyich Tchaikovsky. It’s a familiar work but was ravishingly played by Latvian soloist Baiba Skride, who seem to revel in the virtuosic elements of this work, as well as bringing out the lyricism in the more romantic passages. The Orchestra were on top form too. I particularly enjoyed the way they dealt with the introduction of the famous `big tune’ in the first movement: brisker and with less of the tendency to wallow in it than you find in many performances. The, after the wine break, we had the main dish for the evening, the Symphony No. 5 by Dmitri Shostakovich. This is a very famous work and is perhaps the most accessible of all the Shostakovich symphonies. It was an immediate success with Soviet critics and public alike when it was first performed in 1937, and though it marked Shostakovich’s return to favour with the authorities after his denunciation by Stalin, this work has the composer’s very characteristic sense of things not being quite as they seem on the surface. Indeed, in this and many other of his compositions, seems to manage to say one thing at the same time as saying the exact opposite of that thing; nowadays this might be called `constructive ambiguity’. This is especially in the finale, in which the sense of triumph is almost a parody of itself. Overall the Fifth Symphony is a sombre work, the dark undertone establish right at the start with an imposing theme on the cellos and double basses, but it has passages of great beauty too, especially in the slow third movement. Like all great symphonies – and this is one of the greatest – it takes you on a journey full of of excitement and interest. The 45 minutes or so of this performance seemed to fly by, and its ending was greeted with rapturous applause and a standing ovation from many in the audience. It’s interesting to consider that only 60 years had elapsed between the composition of these two pieces, but what different worlds they represent! Anyway, the full strength National Orchestra of Wales, produced a gripping performance of this tremendous work with every section playing at the top of its form and the finale really brought the house down. But you don’t have to take my word for it – the whole concert will be broadcast on BBC Radio 3 next Tuesday, 12th June. 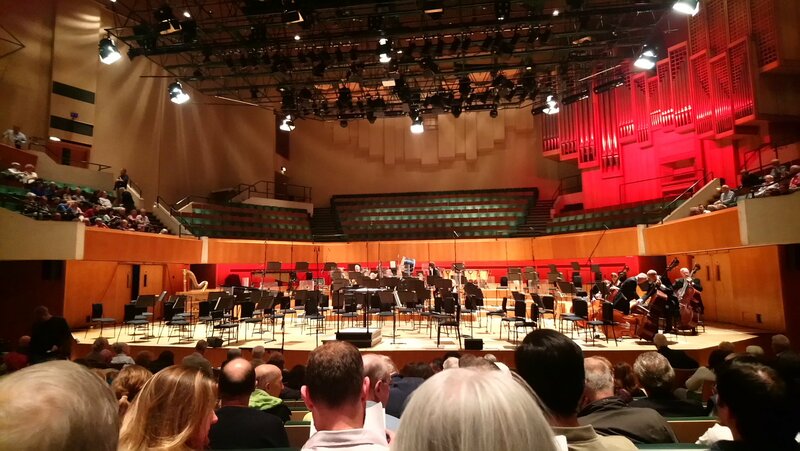 This concert is the last of the BBC National Orchestra of Wales season at St David’s Hall and indeed the last of at St David’s with Thomas Søndergård as Principal Conductor (though he will be conducting the Orchestra a couple of times at the Proms this summer). I wish him all the very best for his future musical adventures. It’s also the last concert by the BBC National Orchestra of Wales I’ll be attending before departing for Ireland. I don’t think I’ll get much chance to hear them after I’ve relocated, so let me take this opportunity to thank every single member of the Orchestra for the many performances I’ve enjoyed over the years, and to wish them well for the future. A performance of Handel‘s Messiah at St David’s Hall is always a pretty sure sign that the Christmas season is upon us, although the work itself was actually first performed at Easter and it’s by no means clear why it ended up almost universally regarded as a Christmas work . Messiah actually spans the entire biblical story of the Messiah, from Old Testament prophecy to the Nativity (Part 1) , the Passion of Christ (Part II, culminating in the Hallelujah Chorus, and the Resurrection of the Dead (Part III). The Nativity only features (briefly) in Part I, which is why it’s a little curious that Messiah is so strongly associated with Christmas. Whatever the reason I don’t mind admitting that Messiah is a piece that’s redolent with nostalgia for me – some of the texts remind me a lot of Sunday School and singing in a church choir when I was little and then, a bit later, listening to the whole thing at Christmas time at the City Hall in Newcastle. I loved it then, and still do now, over 40 years later. I know it’s possible to take nostalgia too far – nobody can afford to spend too much time living in the past – but I think it’s good to stay in contact with your memories and the things that shaped you when you were young. I went to a performance of Messiah (in the same venue) about this time last year but I relished the chance to hear it again last night. As it turned out, the pairing of Cardiff Polyphonic Choir with baroque orchestra Réjouissance produced a very different performance from last year. The choir, numbering about sixty members, was in fine voice and the much smaller orchestra meant that the chorus really dominated the show. 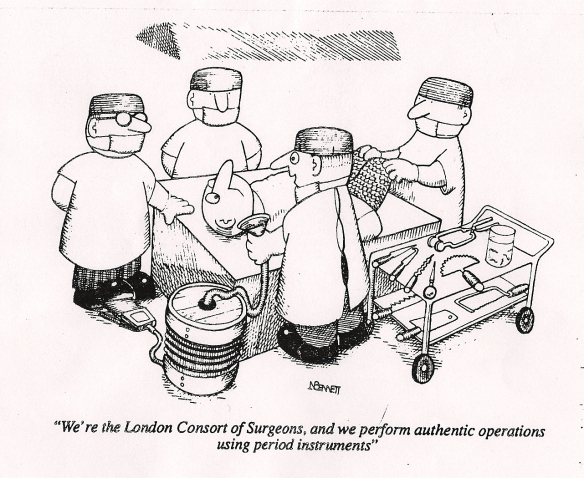 Generally speaking I’m not a fan of period instrument performances. I can see the virtue of having a lighter instrumental touch in this case, and don’t have a problem with using forces of similar scale to those Handel would have used (e.g. two oboes, two cellos, one double bass, etc). I do not however understand why musicians insist on using outdated instruments. This is particularly true for the trumpets. Nobody will ever convince me that a baroque trumpet isn’t an inferior version of the modern instrument. All credit to the players for doing the best they could, but I really don’t see the point. Anyway, that rant aside, I very much enjoyed the performance, especially the lovely singing by all four soloists and the choir, who were outstanding. Now, I wonder where I’ll hear Messiah next year?